Does that mean that the flowers in your garden should be over too? Some gardeners like to tidy up their gardens now ready for autumn and winter. I prefer to keep the flowers going as long as possible and once the flowers have finished I’d much rather see some statuesque seed heads than bare earth. 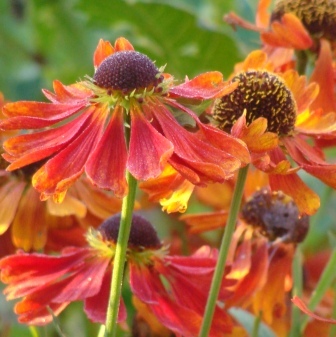 Here’s some of my favourite plants for extending the flowering season well into autumn. Just click on the first image to open the gallery so you can see the plants in detail.